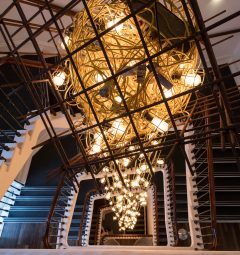 In 2017, The Old Vic completed the first steps in a transformational programme of investment and renewal. An ambitious £16 million multi-phased capital building project will transform the audience experience, educate and inspire the next generation and unlock new audiences and income streams, allowing us to move towards a more sustainable model of self-reliance. So far, as part of the first phase of works, we have upgraded the façade of the building including the restoration of the Emma Cons plaque in October 2017, renewed all external signage and replaced the front doors to enhance accessibility and security. The remainder of this phase will see the development of a new side entrance and front of house spaces to improve disabled access and provide much needed extra female loos. A technical upgrade of the auditorium and a restoration of the roof will follow. Phase 2 will be the development of a whole new wing on the adjacent site to The Old Vic which will create a dedicated education studio inside the theatre to transform the opportunities and creative experience we can offer young people and our local community, together with a new cafe bar to bring a contemporary, commercial dimension to the historic theatre. The Old Vic has a rich tradition of creative adventure. From within our Grade II* listed auditorium we entertain 1,000 people a night offering a vibrant, accessible gateway to varied and exciting kinds of theatre. We are a charity which breaks even each year by raising £3.9 million from our generous supporters. And, unlike most others, we have no regular government funding to bridge the gap. Income from our box office and our bars also helps sustain us. 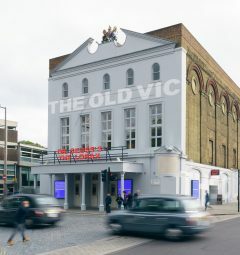 If we don’t succeed in our mission to broaden and increase our audiences and restore our building in which to welcome them, there’s a genuine risk that The Old Vic will cease to exist as a theatre producing work, or potentially as a theatre at all. There is no other theatre this size with this level of affordability, social conscience and creative innovation operating today. It must be upheld for tomorrow’s artists, audiences and young people — for whom the possibilities are limitless.